From 22-23 March the International Holocaust Remembrance Alliance held the conference “As Mass Murder Began: Identifying and Remembering the Killing Sites of Summer-Fall 1941”, at the Vilna Gaon Jewish State Museum in Vilnius, Lithuania. – Opening remarks, IHRA Delegate Piotr Trojanksi, interim Chair of the IHRA Committee on Killing Sites. Over 100 participants from 20 countries attended the conference including the Vice-Minister of Foreign Affairs of Lithuania, Darius Skusevicius, the US Ambassador, Anne Hall, the German Ambassador, Jutta Schmitz, and the Latvian Ambassador, Einars Semanis. The conference was opened by Markas Zingeris, Director of the Vilna Gaon State Jewish Museum, Lithuania, and IHRA Delegate, Francois Wisard, who was representing the IHRA Chair, Ambassador Benno Baettig. The speakers stressed the importance of reflecting the full scope of experiences of those murdered during the Holocaust as well as the need for thoughtful and accurate marking, identification and commemoration of killing sites. The conference comprised a series of presentations around the central themes of identification, marking and commemoration of sites as well as participatory workshops. We would love for you to forward this newsletter to colleagues and organizations working on the topic of killing sites in your country. The IHRA unites governments and experts to strengthen and advance Holocaust education, remembrance and research and to uphold the commitments of the 2000 Stockholm Declaration. Read more about IHRA’s achievements in 2016 in our online annual report. On 17 February 2017 the International Holocaust Remembrance Alliance (IHRA) in cooperation with the Holy See successfully concluded the two-day conference “Refugee Policies from 1933 until Today: Challenges and Responsibilities” at the Palazzo della Cancelleria in Rome. The conference brought together international experts to explore the topic of refugee policies, and their impact, from the 1930s to the present day. Over the two days, around 200 participants from more than 20 countries attended the conference. The audience were addressed by 22 speakers; representatives of the Holy See, and international organizations as well as university scholars. The preliminary outcomes and suggestions – for policy-makers, international organizations and civil society – which emerged from the conference included; collecting war crimes evidence from refugees, enhancing cooperation between NGOs and the state, and reaffirming respect for the value of international law, its implementation, and human rights. The perspective of refugees, and the impact of statelessness and powerlessness on displaced persons were also highlighted. Videos of the conference panels will be available this month on IHRA’s Youtube Channel. To mark the end of the Romanian Chairmanship, the International Holocaust Remembrance Alliance is delighted to share its 2016 annual report with you. 2016 has seen the IHRA adopt a working definition of antisemitism, engage in efforts to protect and preserve sites such as Lety in the Czech Republic and Staro Samijste in Serbia and hold a timely conference on refugee policies from the 1930s to the present day together with the Holy See. Take a few minutes to read about these and the many other IHRA achievements this year. 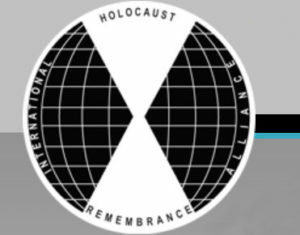 The International Holocaust Remembrance Alliance unites governments and experts to strengthen and advance Holocaust education, remembrance and research worldwide and to uphold the commitments of the 2000 Stockholm Declaration.